How to make a matchmaking notification ? Home › Forums › Gwangi – Dating & Matchmaking Community Theme › Popular Features › Member Matchmaking › How to make a matchmaking notification ? This topic contains 4 replies, has 2 voices, and was last updated by Themosaurus 2 months, 3 weeks ago. – How can a member receive a notification for any matching profile ? a notification that will appear like the image uploaded on your envato theme page. – On the member card list i want to always show the % match without clicking on the hearts to see the %, how can i do that ? – How can i change the member card list appearance ? Unfortunately the Math me for BuddyPress plugin doesn’t have any notification features by default. 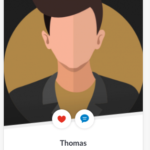 The image from ThemeForest that you attached is not a specific view included in the theme, but is just an image we made to illustrate the matchmaking feature. 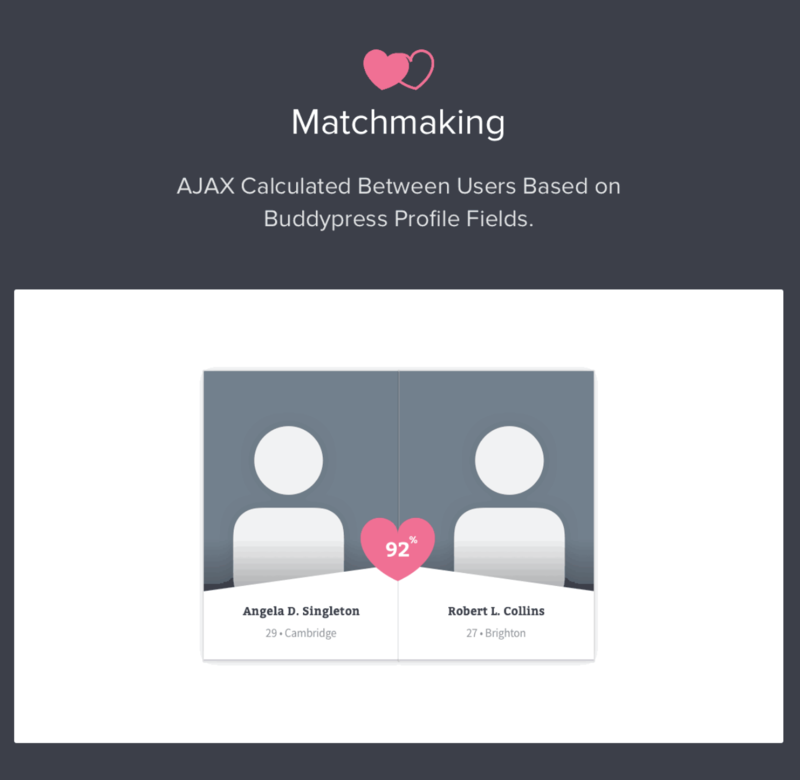 Having to click on the hearts is the default behavior of the Match for BuddyPress plugin, and as theme authors we have unfortunately no control over that. Yes! the base plugin if FREE of cost but you can always request custom features. if you need some customization or a custom feature please send your requirements at hmk.arain@gmail.com for a quote. 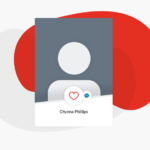 To customize your member cards, first open the Customizer by going in Appearance > Customize from your admin board. The member cards inherit the style from the posts cards. So you can customize the members cards appearance in Posts > Posts page > Item. Some colors in the theme are also inherited from the buttons color, which you can find in the Appearance > Buttons panel. 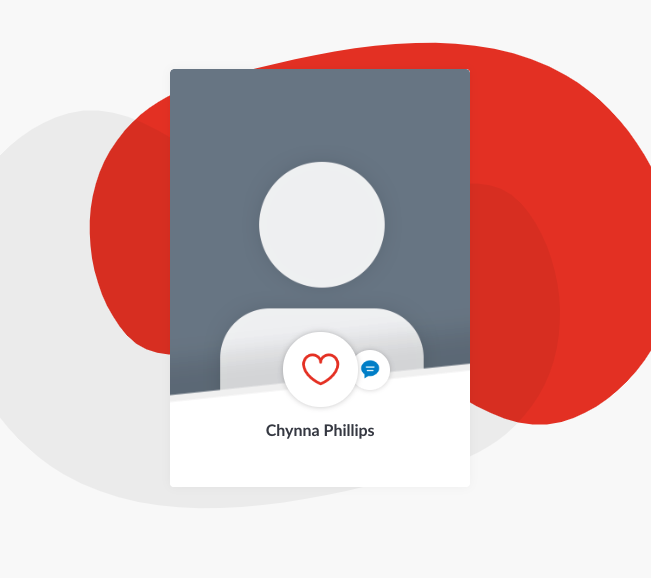 Finally, the buttons on the member cards (like the friend request and message buttons) can be customized in BuddyPress panel. 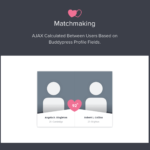 We hope this information helps you in your setup and we are sorry that we can’t help you more with the Match me for BuddyPress plugin. Thank you for the reply, i have one more question. In the registration form, i have included a field “what are you looking for”. If the user selected “male”, he must have access to only male members and the other genders are restricted. How can i make this possible ? And how can i run notification using ajax, so i dont need to reload to see new notifications ? 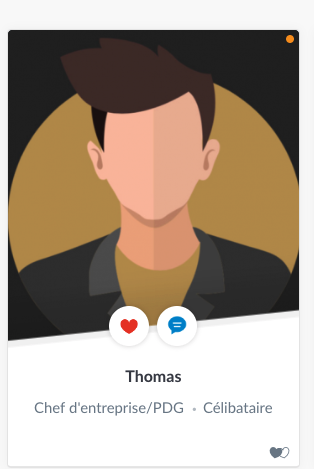 I have found another issue regarding the members swap page, the profile card does not show the same items as on the search results like matching hearts on the right bottom corner and other fields. I have used the snippet plugin to show some fields on the members page but does not appear on the swap members page. How can i make them appear as well as the matchmaking button ? Thank you for bringing these issues to our attention. We’ll be glad to answer any question related with the setup/use of our theme. However, it very difficult for us to provide the best support possible and to keep track of issues and their resolution when there are multiple questions in the same topic. Moreover, it’s easier for us to share the resolution for a single issue with other members of our community facing the same problem. The topic ‘How to make a matchmaking notification ?’ is closed to new replies.